EE600 differential pressure sensors are dedicated for use in HVAC and building automation. They are ideal for measurement in ventilation and air conditioning systems or for filter monitoring. Beside measurement in the air, the devices can also be employed for all non-flammable and non-aggressive gases. 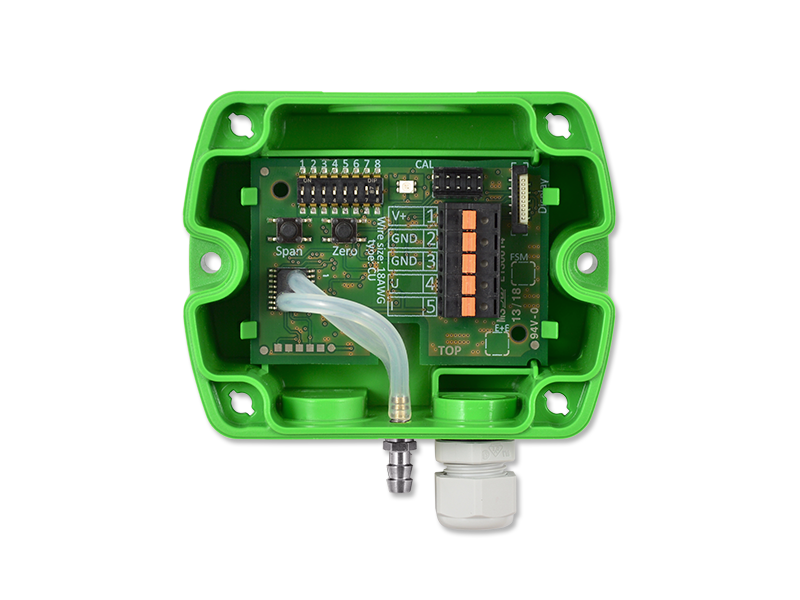 The sensors feature selectable measuring ranges and an optional graphic display. 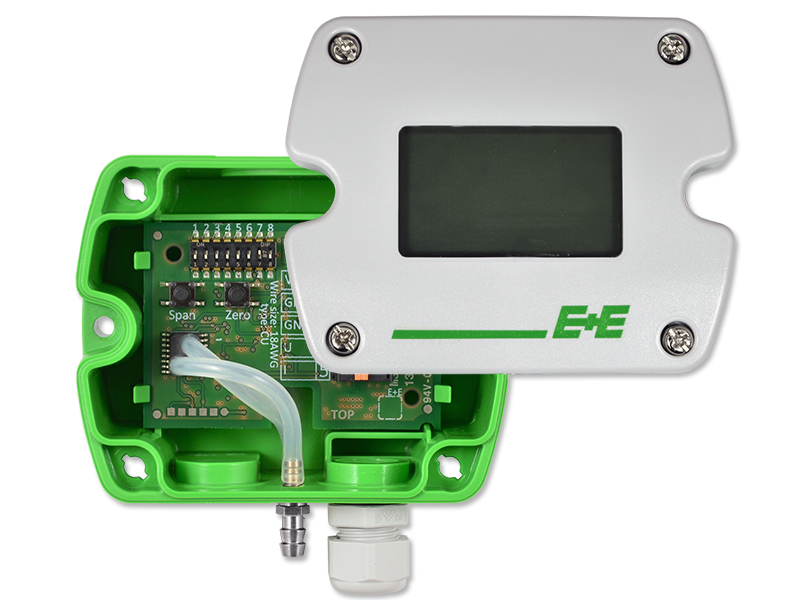 EE600 differential pressure sensors feature selectable measuring ranges. The EE600 is available with or without display. 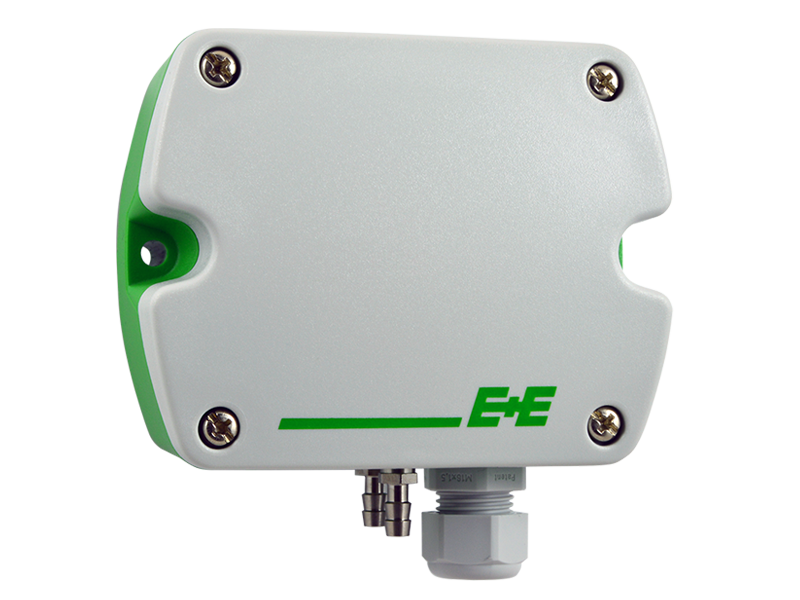 The versatile EE600 differential pressure sensor is ideal for HVAC applications. The piezo-resistive sensing element stands out by excellent long-term stability and highly accurate measurement with full scale 1000 Pa (4 inch water column) or 10000 Pa (40 inch WC). The measured data can be read on the optional graphic display in Pa, mbar, inch WC, kPa. The innovative enclosure facilitates mounting and installation of the EE600. External mounting holes allow for mounting the sensor with closed cover, which protects the electronics from construction site pollution. Another time-saving feature is the electrical connection via spring loaded terminals. The innovative enclosure facilitates mounting and minimizes installation costs. The EE600 can be easily configured and adjusted with DIP switches and push buttons. Both voltage and current output signals are simultaneously available at the spring loaded terminals. E+E Elektronik offers a comprehensive portfolio of measurement devices for HVAC and building automation. 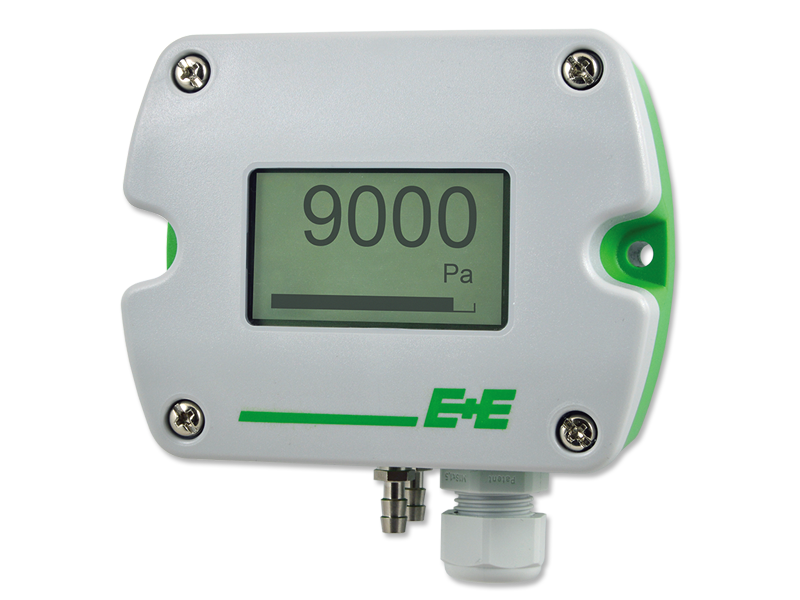 E+E products combine outstanding measurement accuracy with an excellent price/performance ratio. 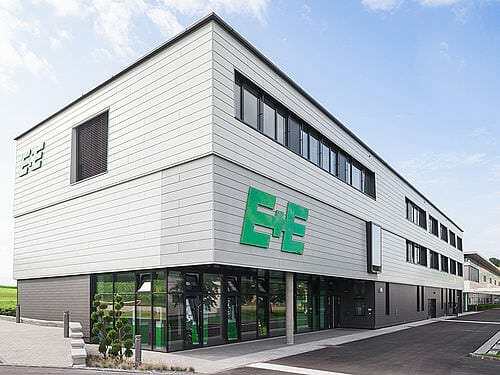 Since more than 20 years, E+E Elektronik develops and manufactures sensors and transmitters for humidity, temperature, dew point, moisture in oil, air velocity, mass flow,CO2 and pressure.